I heard about Bali the first time when I was in high school. 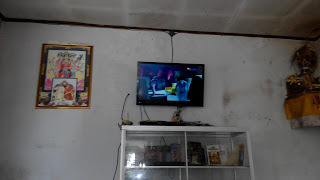 We had a lesson, ‘Balidweep’ by S K Pottekkat. He had described Bali women dressed in similar clothes as in Kerala, balancing weaved baskets filled with sweets and other offerings on their head, walking to the temples. When I read that many sweets and savories in Bali were similar to Kerala preparations, I was filled with curiosity. He was good in describing the scenic beauty of Bali. I visited Jakarta a few years back to give a presentation in a Dental conference. Due to some reasons we couldn’t make it to Bali at that time which left a streak of disappointment in my heart. In 2016 when we planned a trip to Bali, it was to enjoy the beautiful nature and to have some fun. But it turned out to be a great pilgrimage, with lots of cleansing and healing. We reached Jimbaran after twenty minutes drive from the airport in the late evening. The taxi driver was a very jovial person and gave us much valuable information on Bali. Their important festival Galungan was starting after two days and its ending, Kunningan celebrations would be ten days later. We were so happy that we were in Bali during such an auspicious time. Galungan celebrates the victory of dharma over adharma. Ancestral spirits visit the Earth during that time. On the last day of the celebration is Kuningan, when they return to their realm. Galungan marks the beginning of the most important recurring religious ceremonies. The spirits of deceased relatives who have died and been cremated return to visit their former homes, and the current inhabitants have a responsibility to be hospitable through prayers and offerings. The most obvious sign of the celebrations are the penjor - bamboo poles with offerings suspended at the end. These are installed by the side of roads, and it was such a beautiful sight as we were driving around. Some of them were very elaborate art works! 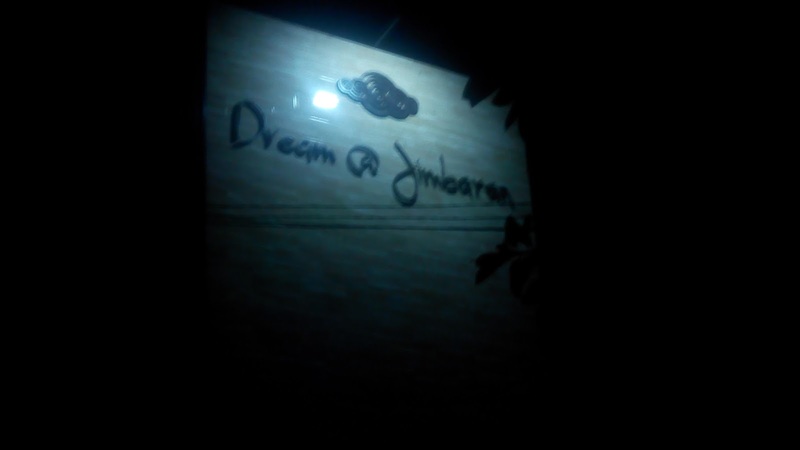 We reached the hotel that we had booked, ‘Dream @ Jimbaran'. The lady at the counter said she had worked in Kalangut beach (Goa) for three years. By now we were hungry and went out to have some food. We located a nearby warung, which is a type of small family owned business — often a casual, usually outdoor restaurant— in Indonesia. We ordered the fried rice, ‘Nazi Goreng’ as they call it, but it was a bit disappointing. Later during our trip we got real delicious nazi goreng though. Next day morning after breakfast we went to the Water Blow in Nusa Dua that lets you witness the awesome power of nature as large waves from the Indian Ocean constantly crash against the jagged limestone edges on the peninsula’s south-eastern cliff. The crashing waves can reach up to several meters high. Time stood still as we were mesmerized by this unique sight. It was time for lunch and we went to the Jimbaran beach and had vegetable curry (with coconut milk) and steamed rice. Sitting in the warm weather and having that delicious meal was a very soothing experience. The trip in the evening was to Uluwatu Temple, or Pura Luhur Uluwatu, one of six key temples believed to be Bali's spiritual pillars. It is renowned for its magnificent location, perched on top of a steep cliff approximately 70 meters above sea level. On the way to Legian we visited the Ground Zero, which is located on a very busy street in Kuta. The 2002 Bali bombings occurred on 12 October 2002. Damage to the densely populated residential and commercial district was immense, destroying neighboring buildings and shattering windows several blocks away. The final death toll was 202, mainly comprising of Western tourists and holiday-makers in their 20s and 30s. A permanent memorial was built on the site of the destroyed Paddy's Pub on Legian Street. The memorial was dedicated on 12 October 2004, the second anniversary of the attack. We went to the ‘Lumbung Sari Beach Inn’ kept our luggage and walked to the ‘Poser’s pub' and had an awesome vegetarian lunch. The visit to Padma beach and watching the sunset was a unique experience. The changing colors of thee sea and the sky was spectacular. Next day morning again we visited Padma beach, and it presented an entirely different beauty! We spotted Lido2 for massage and chose Bali massage, which loosened up the muscles and was a healing experience. Tanah Lot Sunset Tours are the exciting Bali Half Day Tours to visit the temple on the rock with breathtaking view of Indian Ocean and spectacular sunset as a backdrop. 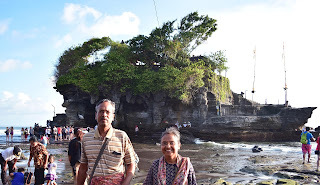 Tanah Lot is a Balinese Hindu Temple on the rock and the seawater encircles it during high tide. There is a Holy sweet water spring here, in the middle of the sea! We got blessing from the pujari and drank from the sweet water spring. We could see the magnificent view of sunset in the late evening. One can find the holy snakes dwelling the cave in front of Tanah Lot Temple with small donation to see them directly. Taman Ayun is a Hindu temple which is generally regarded as one of the most attractive temples of Bali. 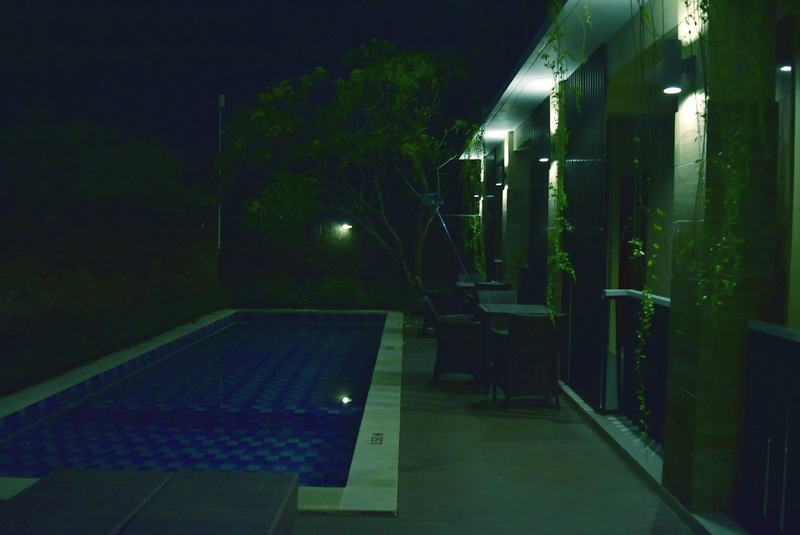 It is strategically located beside of major roadway between Denpasar to Singaraja. It is set on the land which is surrounded by a big fish pond. This beautiful temple building has multi storied roof and Balinese Architecture. We got inside a warung for lunch and to our surprise and delight, got tender jackfruit preparation with rice and then ripened jackfruit also. 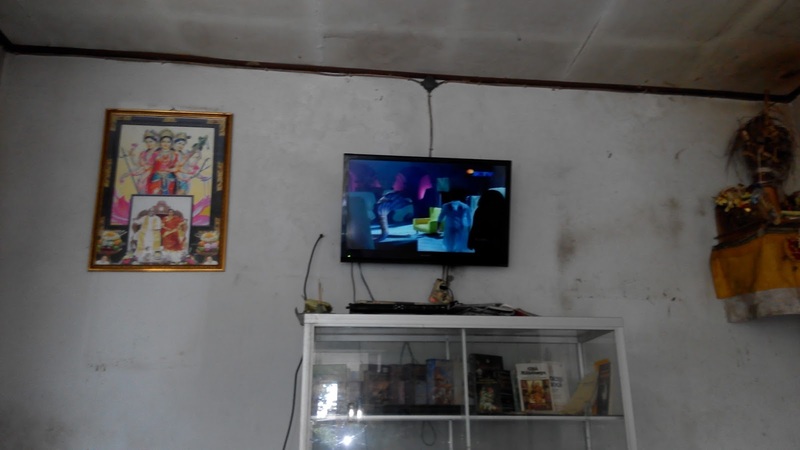 I noticed that the owner lady was watching TV program which was dubbed version of our ‘Naagin’. We ended the day with a visit to the Pura Ulun Danu Bratan, or Pura Bratan. It is a major Shivaite and water temple on Bali. The temple complex is located on the shores of Lake Bratan in the mountains near Bedugul. Water temples serve the entire region in the outflow area; downstream there are many smaller water temples that are specific to each irrigation association. Built in 1633, this temple is used for offerings ceremony to the Balinese water, lake and river goddess Dewi Danu, due to the importance of Lake Bratan as a main source of irrigation in central Bali. Lake Bratan is known as the Lake of Holy Mountain due to the fertility of this area. Located 1200 m above sea level, it has a cold tropical climate. From the sea level, now we were in a hill station, and got a beautiful place to stay- in Panca Sari hotel.